One of the reasons you may sew is for fit. I know I have fitting challenges with asymmetrical hips and a tummy that curves out instead of Jessica Rabbit concave. Big and baggy, or stretched way too tight flatters no one. How to gauge whether a style or pattern will look good on your figure? One of the ways is to browse places that show images of “real” people instead of airbrushed, photoshopped models. Internet blogging and sites specific for sharing information can give you a head start on creating garments that are flattering AND fit! I have found that Pattern Review.com is my new go to site for sharing of information on sewing pattern experiences. Sewists give feedback on how easy a pattern is to sew, how much it looks like the front drawing or picture, what they changed, and what the fit was like. Also they post pictures of the finished outfit – usually on themselves. There is no better way to judge how a fashion will look on me, than seeing it on a similarly shaped women. I have found great information, especially about the independent pattern companies. Check out the “Over 50 and Fabulous” forum on the site, the forums post the most recent entries last – I always go there first to see the latest chat. There are now several independent pattern companies that draft patterns specifically for curvy women. Are you petite? SkinnyBitchCurvyChick patterns are drafted especially for women under 5’4″, but can be modified for those that are taller. As their name implies they have both small and large sizes for petites. Feeling vintage? Check out new indie designer Blue Ginger Doll Abby, the Australian designer has a Made by You link with photos of sewists modeling their finished garments. Whatever your shape or style – sew something and show it off!!! Thanks for sharing this! 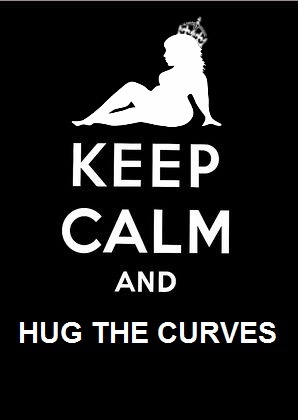 I’m now following the Curvy Sewing Collective and Curvy Girl Chic (already on Pattern Review). Thanks for finally writing about > Not a size 2 < Loved it! Previous Previous post: Mark your Calendars for these Upcoming Events!